I enjoy crafting with my nieces, they are preschoolers. 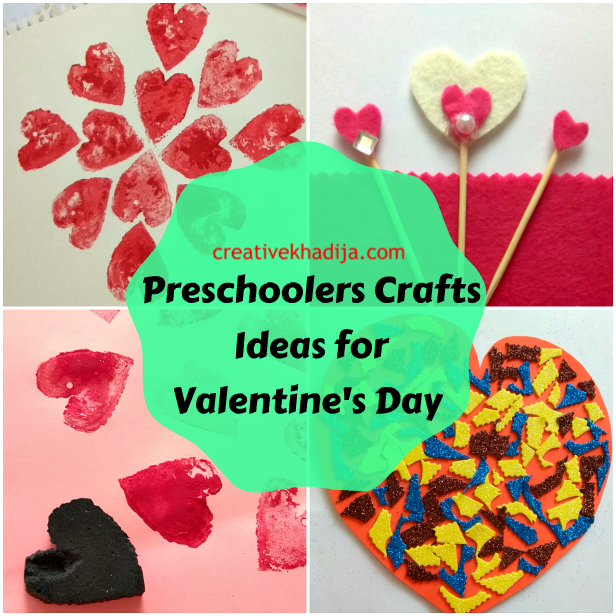 I am sharing some easy and fun Valentine’s day crafts for preschoolers today. Hello kids, how are you doing? 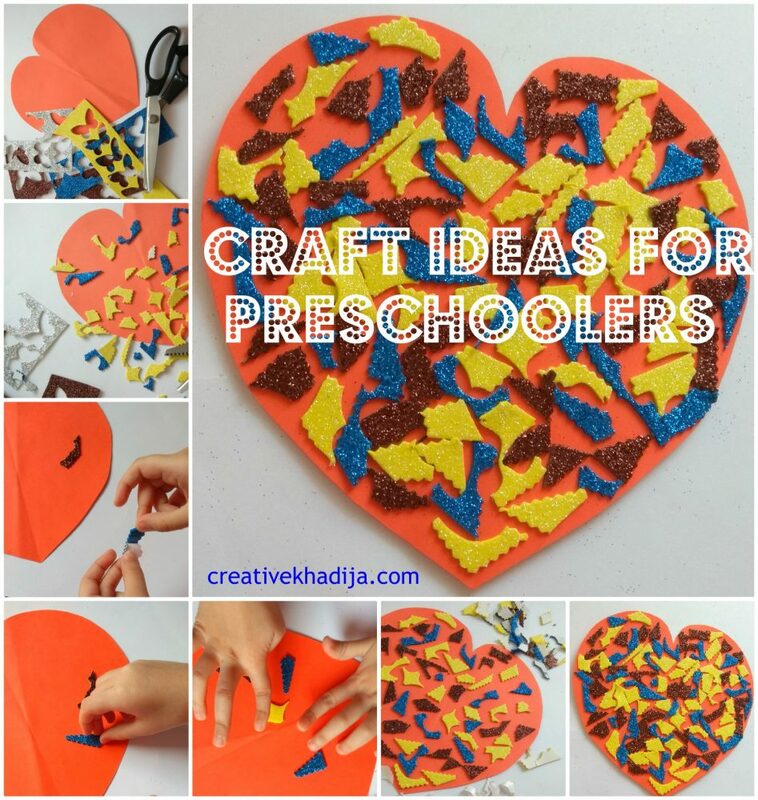 My today’s blog post is a collection of some creative project ideas for preschoolers kids, teachers & the mommies. As you know Valentines day is in two days only, so I am sharing another fun idea. 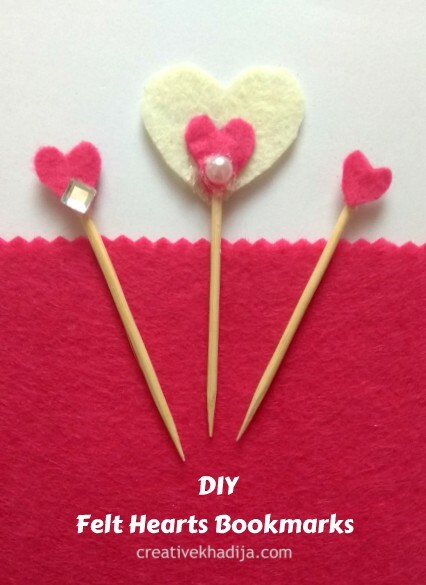 In my previous post I decorated an easy valentine crafts ideas for Girls. It was a home DIY project. 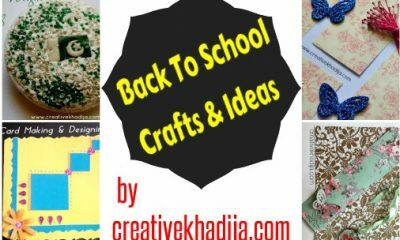 Today I have something for kids which they will surely enjoy crafting. 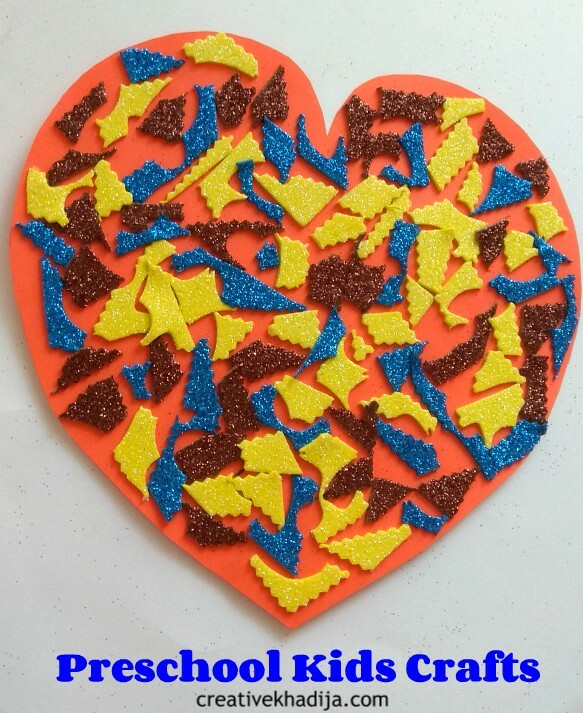 I made this heart stamp out of a rubber piece with the help of sharp paper cutter. I did it freehand, so you may notice its not the accurate shape of heart. then I cut it & gave it to my nieces for playing with paints. They enjoyed painting of a wrapping sheet with heart stamps. 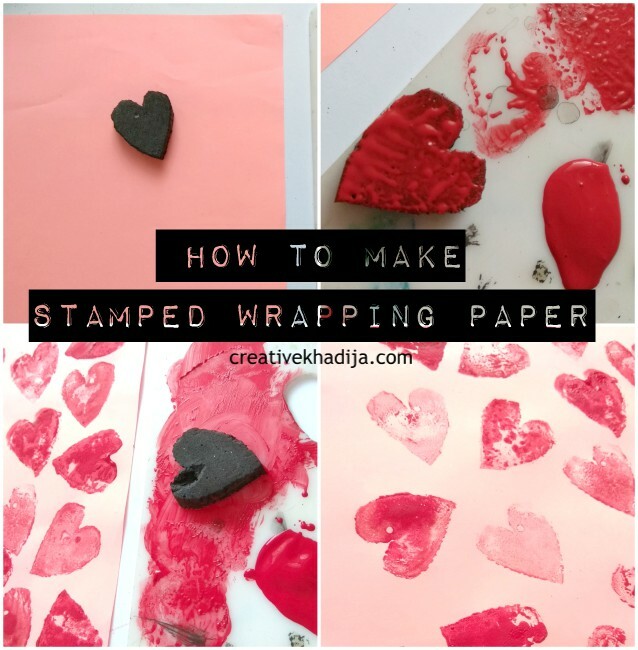 For making this stamped wrapping sheet you will new a few supplies only. Any color poster or acrylic paints, thick paper sheet & rubber stamp. Spread some paint on the color pallet and allow kids to apply it on the stamp. My niece stamped these randomly on the sheet. 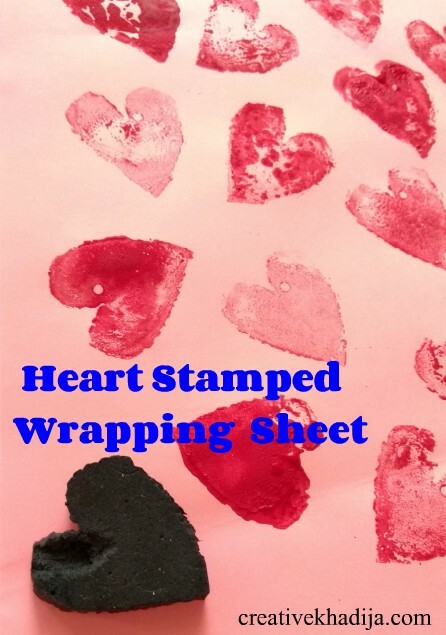 Let it dry now for 15 minutes and then you can wrap any chocolate or gifts in this heart handmade stamped wrapping sheet. 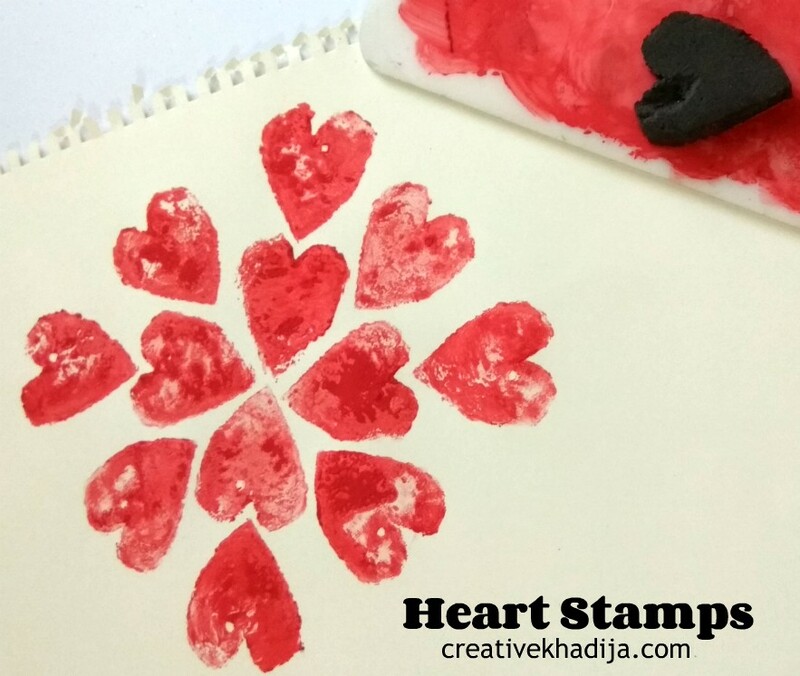 For making this heart stamped design on paper, I spot some marks on the paper & asked my niece to stamp on that. Stamp on the paper sheet and make any types of designs in any proper manner or freehand. This can be a handmade card for valentines day as well. 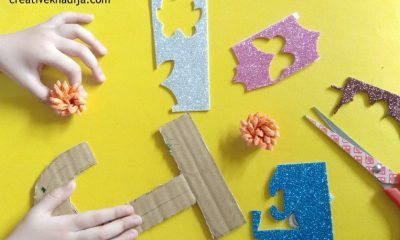 My niece loves glitter crafts, you may remember few months back she decorated her name monogram with glitter chunks of foamic sheet. It’s always interesting to create easy art projects with my nieces & they always enjoy playing with paper and glue. 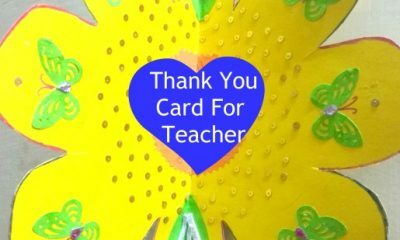 I do the cutting part as preschoolers should not use cutter or scissors without any elder’s assistance. 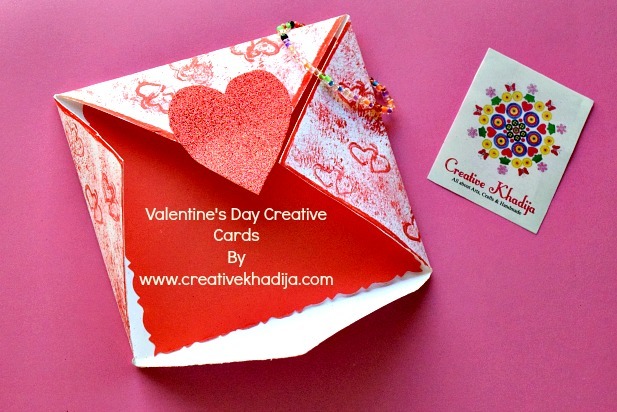 Here I have used this heart shaped card as template in my previous blog post. My niece asked me if she can use this instead of red or pink card, so we made it. So I cut the glitter sheet pieces into chunks for her with a zigzag scissors. 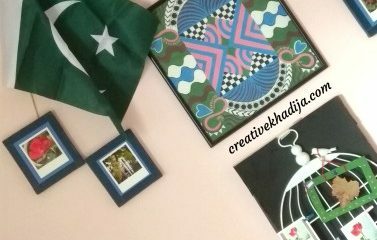 I saved these pieces after crafting something in past. 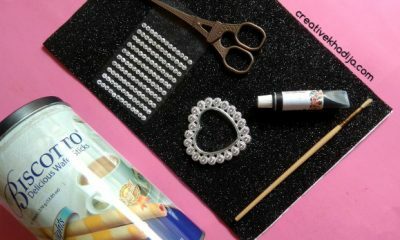 I reuse such waste materials for kids crafting and random details actually. 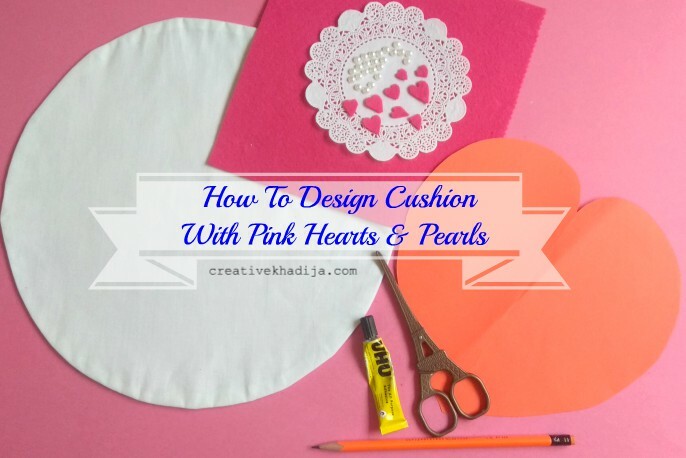 Very easy and fun idea for preschool kids to try for the Valentines day crafts. Bookmarks making is not only easy but interesting too. When I shared this idea with my nieces, they were excited to try it. For this valentines day craft, my assistance was important as it includes cutting part of felt fabric. I wanted to make it on bar BQ sticks but she suggested to use toothpick sticks because it’s kids crafting. Lol. Okay, fine babe. 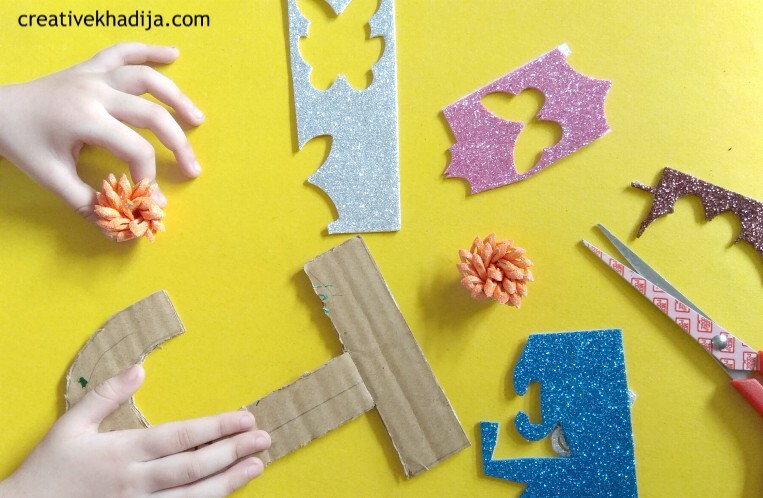 Kids want to try small things and crafts. 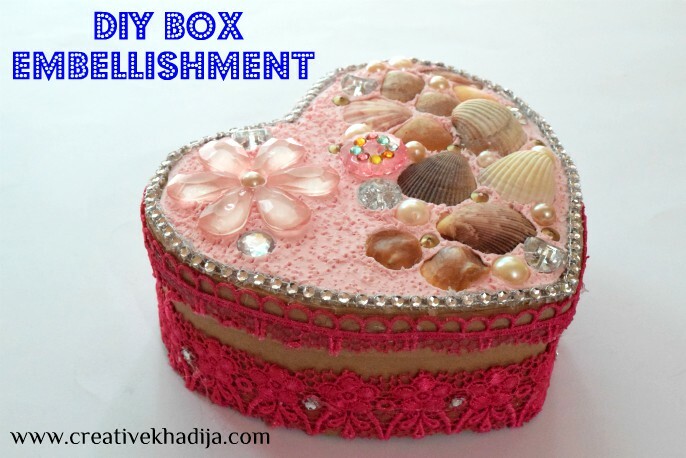 You can have a look at some of my previous Valentines day crafts and gift packing tutorials in my previous blog posts. Have a great day. Thanks! These are so cute! I especially love the bookmarks from felt and toothpicks. Darling.